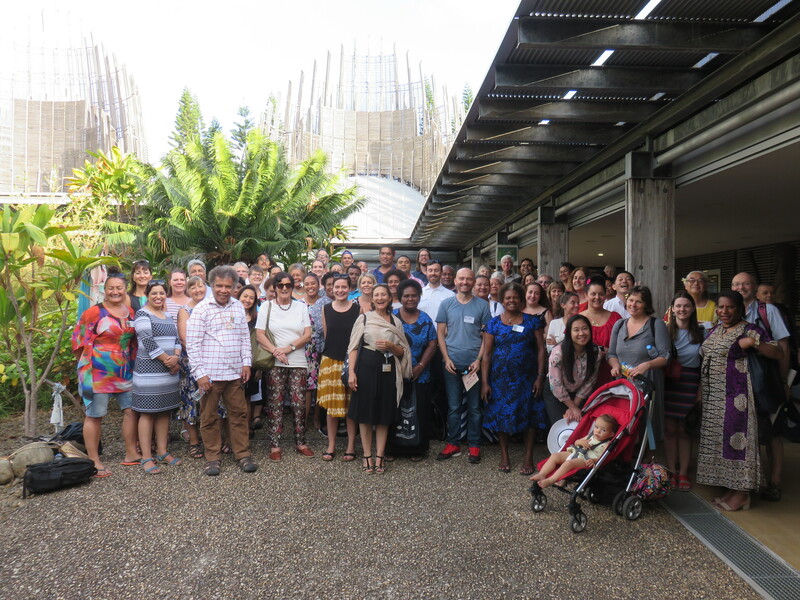 The 45th annual OCIES conference was held at the University of New Caledonia in Noumea and drew together over 100 researchers, educators and practitioners from 21 countries. The conference theme Education and sustainable development in Oceania and beyond’ provided an opportunity to consider the educational implications of the 2030 Agenda for Sustainable Development and the 17 Sustainable Development Goals. The conference promoted critical dialogue about the relationship between education and sustainable development and sought to strengthen research relationships within and beyond our region. 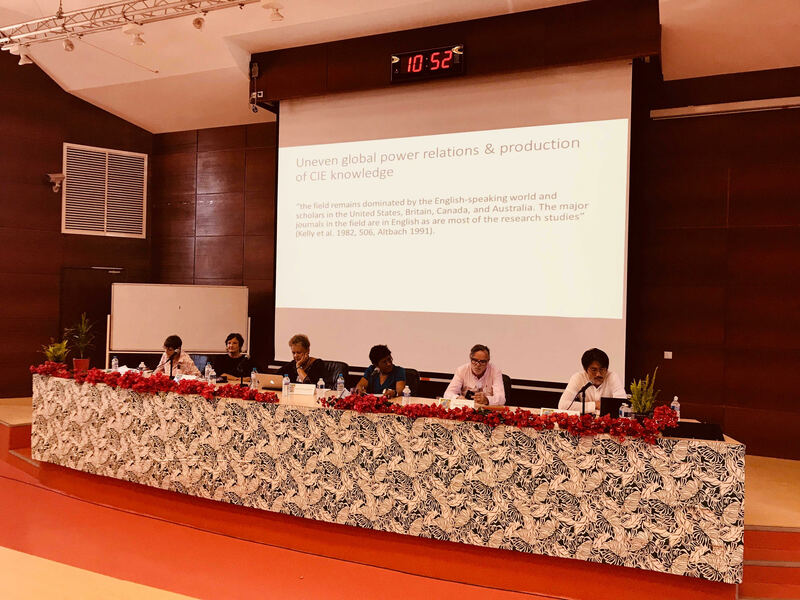 The three keynote speakers – Professor Konai Helu Thaman (University of South Pacific), Professor Roger Dale (University of Bristol) and Emmanuel Tjibaou (Tjibaou Cultural Centre) – each problematised the notion of sustainable development. Professor Konai Thaman considered the implications of sustainable development for Indigenous Pacfic communities and Emmanuel Tjibaou reminded us of the importance of respecting and learning from indigenous communities. Professor Roger Dale considered the ideation of sustainable development and challenged us to consider who benefits and who loses from the implementation of SDGs. The keynote speakers were extremely well received and were noted by delegates to be an important part of the conference’s success. The conference also featured two invited panel sessions. 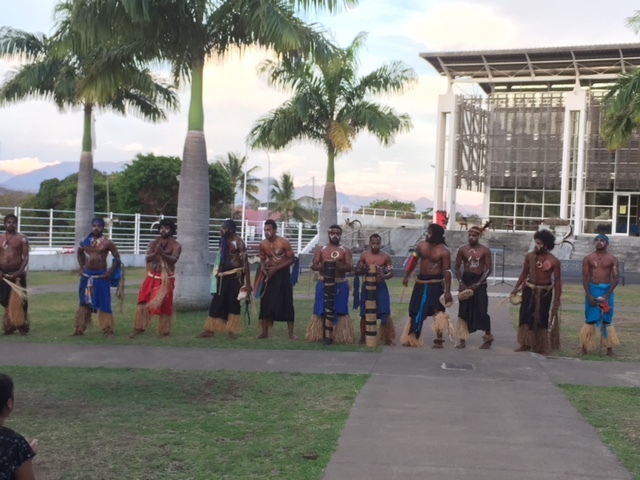 The first explored ‘Education for sustainable development and school practices in New Caledonia’ where the panel discussed the place of sustainable development in the school curriculum in New Caledonia and the involvement of key stakeholders in its’ enactment. The second panel examined ‘Possibilities of postcolonial/decolonial theories for comparative and international research in/for/from Oceania’. This panel built on postcolonial/decolonial theorising withiin the field of comparative and international education by considering the possibilities in/for/from Oceania. The conference concluded with a guided tour of the iconic Tjibaou Cultural Centre. The museum provided an opportunity to experience Kanak culture through art, artefacts, traditional Kanak huts and native plants. The idyllic location of the Centre delivered spectacular views of Magenta and Tina Bays and provided a memorable way to conclude the conference. Feedback on the conference has been very positive, with also some great constructive suggestions for future events. Of those who have responded to the conference evaluation so far, over 90% said they would attend an OCIES Conference again and would recommend it to others. 75% felt the conference expanded their knowledge and stimulated their thinking, and were satisfied with the organisation, the range of parallel sessions and the keynotes. Respondents identified the exposure to different perspectives or new research; and the opportunity to present their own research and get feedback as the most highly valued aspects of the conference. The opportunity to visit New Caledonia and the beautiful venue of the University of New Caledonia was greatly appreciated by most respondents. Our heartfelt thanks to conference organisers Stéphane Minvielle, Yolande Cavaloc, Fabrice Wacalie, Françoise Cayrol, Eve Coxon and Rebecca Spratt who worked tirelessly to provide such a warm, hospitable and well-organised conference. We truly appreciate the enourmous amount of work you have put into making this such a memorable conference.